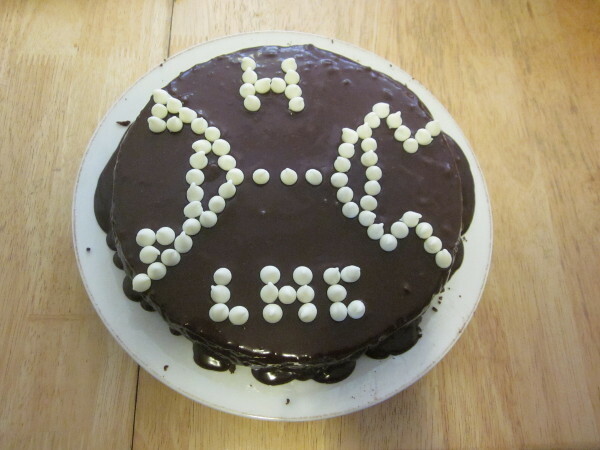 Lauren and I baked a cake in honor of the Higgs boson! In addition to being decorated, this is a no flour dark chocolate cake, made with 8 eggs, covered in a chocolate ganache, so it interacts very strongly with the Higgs field, and after you eat it you will too. This is the nerdiest thing ever. I love it. Looks delicious, too.